Ferries from Ile Rousse go to Marseille, Nice, Savona and Toulon. The Ile Rousse ferries routes are operated by Corsica Ferries and SNCM. Below, you can find the latest information on departure times and timetables, alongside a list of our best price on ferries from Ile Rousse. Whichever route you take on your Ile Rousse ferry, you are certain to have a great journey with either of these well known ferry companies. 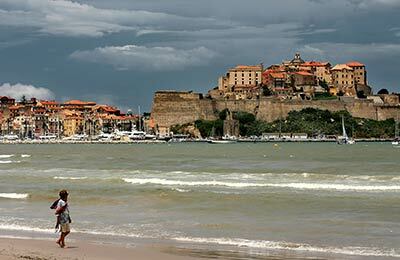 Ile Rousse Ferry Port is located in north-west Corsica. The resort only became popular quite recently, discovered by English tourists at the beginning of the 20th century. The name Ile Rousse was taken from the description of the rocky islets which turn red at sunset. 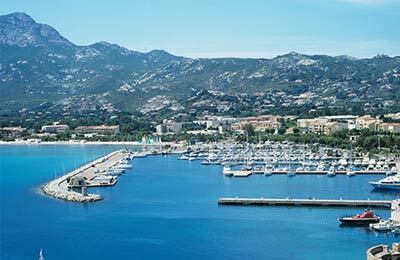 Ferries from Ile Rousse connect Corsica to mainland France and can all be booked online with AFerry. Ile Rousse has all the major necessary facilities, including toilets with disabled access. Ile Rousse Ferry port can be reached by heading north and taking the N193, and then the N197 all the way to Ile Rousse, from there follow signs for the Ferry port. There is one train a day between Ile Rousse and Calvi `Le petit tramway de Balagne'.